While there are several different types of power meters to choose from (with each one having its own unique set of advantages and considerations), pedal-based power meters continue to be one of the most popular and widely used. So, we thought it appropriate if we reviewed your options when it comes to putting a power meter pedal on your bike. Specifically, we’ll touch on why this type of power meter is popular, summarize the different pedals by brand and then put them head-to-head in a power meter pedals comparison. Sound good? Lets check it out! There is another advantage of going with a pedal based power meter…you have options…four to be exact. Or more if you consider the single-sided variants. This increases the likelihood that you can find a set of pedals that fits your needs. Most people know that Garmin and PowerTap make pedals. Garmin makes the Vector 3 while PowerTap makes the P2. However a PowerTap P2 vs Garmin Vector 3 comparison would be short sided. Favero Electronics, based in Italy, makes the Assioma. It’s a terrific pedal, is highly accurate and has a wonderful track record of reliability. As you will see below, it stacks up pretty favorably against the other two heavyweights. In addition, SRM and LOOK have partnered on the EXAKT power meter pedal. The EXAKT is built on a LOOK carbon pedal body, benefits from SRM’s renowned engineering and comes pretty loaded with modern day features. One more thing before we move on…cost. In general, we would put power meter pedals somewhere in the middle of the power meter cost spectrum – with the exception of the EXAKT which comes at a premium price point. 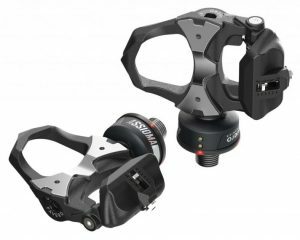 Specifically, a set of dual-sided power meter pedals costs $739 on the low end (Favero Assioma DUO) and $1,699 on the high end (SRM LOOK EXAKT). The PowerTap P2 and Garmin Vector 3 slot in the middle at $899 and $999, respectively. Note that most of these companies offer a single-sided version of their pedal at a lower price. Ok, so let’s review these power meters in a bit more detail. 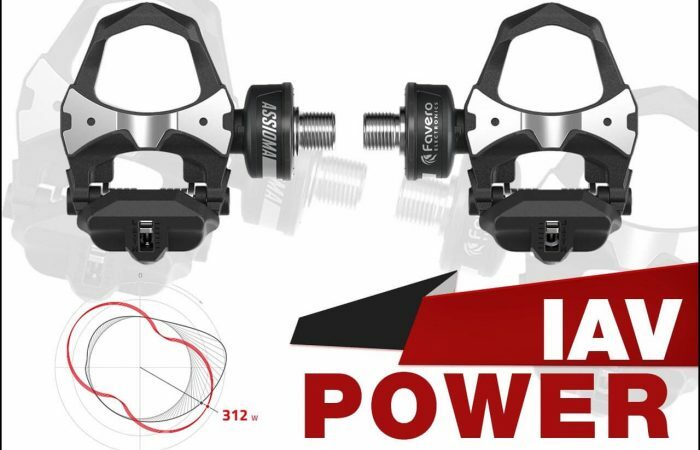 The Assioma power meter pedals are manufactured by Favero Electronics, an Italian-based company. The Assioima DUO is a dual-sided system and takes power from both legs, whereas the UNO is a left-sided pedal. These power meters measure power up to 2,000 watts and cadence from 30-180 RPM. In addition to being the most affordable dual-sided power meter on the market, the Assioma is also one of the most reliable and consistent power meters we sell. The icing on the cake is the fact that, using Favero’s IAV Power Technology, they are accurate to +/- 1.0%. In October of 2018, PowerTap introduced its lasted pedal-based power meter, the PowerTap P2. Like the previous generation pedal, the P2 features an easy to install, fully integrated design and provide left/right power measurement. The PowerTap P2s are now 30 grams lighter, weighing 199 grams per pedal. In addition, the P2 pedals now get 80 hours of battery life from a pair of AAA lithium batteries, an increase of 20%. The PowerTap P2s still feature +/- 1.5% accuracy and are dual ANT+ and Bluetooth SMART compatible. 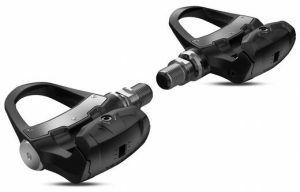 The Garmin Vector 3 is also a dual-sided power meter with sensors in both pedals. Garmin is on its third generation of the pedal (the previous version was called the Vector 2). On the Vector 3, Garmin eliminated the pedal pods, improved installation and added Bluetooth SMART capability, among other improvements. In addition, like the previous generation, the Vector 3 provides access to Garmin’s suite of advanced cycling dynamics data. A single-sided version, the Garmin Vector 3S, is also available. The SRM LOOK EXAKT power meter is the latest pedal to hit the scene. Created in a partnership between LOOK and SRM, the EXAKT is built on a LOOK carbon pedal body and features a fully integrated design. The EXAKT also benefits from SRM’s long experience in building power meters and is cited accurate to +/- 1.5%. Available in both dual-sided and single-sided versions, the EXAKT offers all the features you would expect in a modern-day power meter: dual-sided power, ANT+ and Bluetooth SMART compatibility, a rechargeable battery with 100 battery life and built-in magnet for cadence. However, the pedal does come at a premium price point. Ok, now lets see how these four brands stack up head-to-head across the key features that are typically important to power meter users. Installation is a three way tie for the win. The Favero Assioma, Garmin Vector 3 and PowerTap P2 all install like a normal set of pedals. No torque wrench or special tools necessary. Just grab a hex wrench and screw them on. This also makes moving the pedals between bikes a breeze, should that need arise. The SRM LOOK EXAKT is a bit more work to install. The EXAKT pedals come with a mounting tool, which you use to hold the spindle in place while you tighten down the nut. We should note however that with a bit of practice, you can get them on pretty quickly. In addition, the EXAKT smartphone app has a function whereby you can verify alignment. Most users leave the tool aside and just use the app for guidance – no real worries. We note that while the Favero Assioma is super quick to install, it does require that you register the pedals with the free Assioma app and ride for a minute or two to set the installation angles – before the pedals will send power and cadence to your head unit. These steps are pretty easy and we have outlined all of the Assioma set-up instructions for you. The Assioma is the lightest pedal in this comparison (but just by a hair), weighing in at 149.5 grams per pedal. This compares to the SRM LOOK EXAKT at 155 grams per pedal, the Garmin Vector 3 at 158 grams per pedal and the PowerTap P2 at 199 grams per pedal. The difference here is slight, especially between the Assioma, SRM LOOK and Garmin, but as we all know, grams add up. The dual-sided versions of all four power meters contain a power sensor in both the left and right pedal and can therefore measure independent left/right power. As previously stated, the ability to measure left/right power is a major draw to using a pedal-based power meter. True these pedals use different batteries, but who are we to tell you which battery is best (which is why we call this a tie). All battery types have their pros and cons so it’s up to you on what you think will best fit your needs. The Favero Assioma and SRM LOOK EXAKT both run off a rechargeable lithium-ion battery. The P2s use lithium AAA batteries. The Garmin Vector 3 pedals use a LR44/SR44 battery (similar, but not exactly the same as the CR2032 battery you are probably familiar with). AAA and LR44/SR44 batteries are both relatively cheap and easy to find. With the Assioma and EXAKT, you don’t have to worry about buying and replacing batteries. However you do have to remember to charge the battery regularly. Again, we’ll let you decide if a traditional or rechargeable battery is best for you. The Garmin Vector 3 lasts for 120-150 hours on a set of batteries. This gives it the best battery life when compared to the other power meter pedals here. The range here depends on if you have Cycling Dynamics and Bluetooth SMART enabled. You’ll get closer to 120 hours with these enabled and closer to 150 hours with them off. The Vector 3’s 120-150 hours of battery life compares to 50 hours for the Favero Assioma, 80 hours for the PowerTap P2 and 100 hours for the SRM LOOK. Note however that it’s a bit like comparing apples to oranges when you compare battery life between a traditional battery and a rechargeable battery. When a traditional battery runs out of life, you have to buy and install a new battery. The rechargeable battery however, just needs to be plugged in. The Favero Assioma and SRM LOOK EXAKT both use a rechargeable battery that never needs to be replaced, so they tie for the win here. Note that the process of replacing the battery in both the PowerTap P2 and Garmin Vector 3 is very simple. So we feel this really shouldn’t be much of a concern for anyone. All four pedals transmit data via both the ANT+ and Bluetooth SMART wireless protocols. This gives you the choice of using the pedals with your favorite bicycle computer, smart phone or tablet. Favero claims an accuracy of +/- 1.0%, PowerTap +/- 1.5%, Garmin +/- 1.0% and SRM LOOK +/- 1.5%. However this is a tie to us. The difference between +/- 1.5% and +/- 1.0% is so slight. In addition, these accuracy figures are claims. We would have to see lots of third party data verifying these accuracy levels for us to feel good about saying that one of these pedals is indeed more accurate than the next. Since the claims here are all within 0.5%, we think the other criteria on this page are more important to focus on in terms of choosing the right pedal for you. All direct force power meters transmit cadence to the head unit, in addition to power. Most power meters do so by using an accelerometer. An accelerometer is a tiny electronic device that is housed inside the power meter and measures the acceleration of the device that is in motion – in this case a pair of pedals. Prior to accelerometers, most power meters used magnets. With this option, a magnet is attached to the bike frame and cadence is detected using a reed switch. This method of cadence detection is considered to be slightly more accurate. Well the SRM LOOK EXAKT is the only pedal that uses magnets for cadence, so it earns the win. Admittedly, we’re splitting hairs a bit here. The accelerometers that are used in the other pedals will likely give you almost the the exact same results, especially when pedaling within normal cadence ranges. In truth, all four pedals feature a fully integrated design. That is, unlike the previous Garmin Vector 2 for example, there are no external parts to attach. However, we give the win to Garmin and SRM LOOK as their pedals are the sleekest in the bunch. Favero locates the battery and electronics in a round cylinder that sits on the spindle between the pedal body and the crank arm – so this design isn’t quite as sleek. However, this does allow Favero to use a very minimalistic pedal body which is a plus. PowerTap locates the battery and electronics inside the pedal body. However they use a larger AAA battery which is positioned towards the bottom of the pedal body. This results in the thickest (and heaviest) pedal here. The thickness of the P2 can also decrease corning clearance slightly. While we seldom see this as a real issue, if your specialty is crits, you might want to consider the other choices. All four power meter pedals recommend performing a calibration (more correctly referred to as a zero-offset) procedure before every ride. The process of zero-offsetting your power meter is quick and easy. 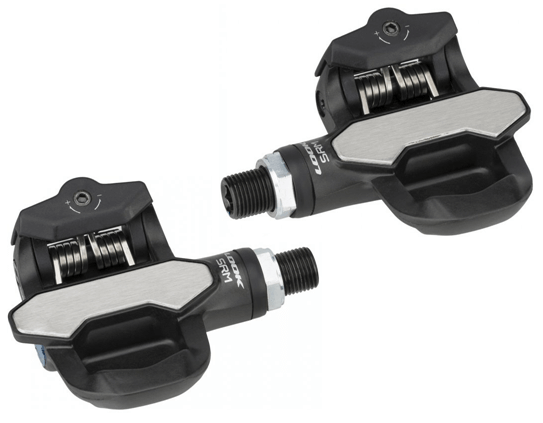 All four power meter pedals come with a 2-year manufacturer’s warranty. While the Garmin weight limit seems low, we note that we have customers on the Garmin Vector 3 pedals that weigh more than 231 lbs. and they haven’t reported any issues. So we think this is a fairly conservative limit. In addition, it’s worth noting that this weight limit pertains more to accuracy issues, rather than functional or safety issues. However to err on the side of caution, if do you weigh more than 231 lbs., you might want to consider one of the other pedals. All four power meter pedals are made for road use only. We look forward to the day when someone releases a MTB-suited pedal. But we will have to continue to wait for that. Folks often ask us which pedals are compatible with LOOK Keo cleats – so we have added this as a criteria. 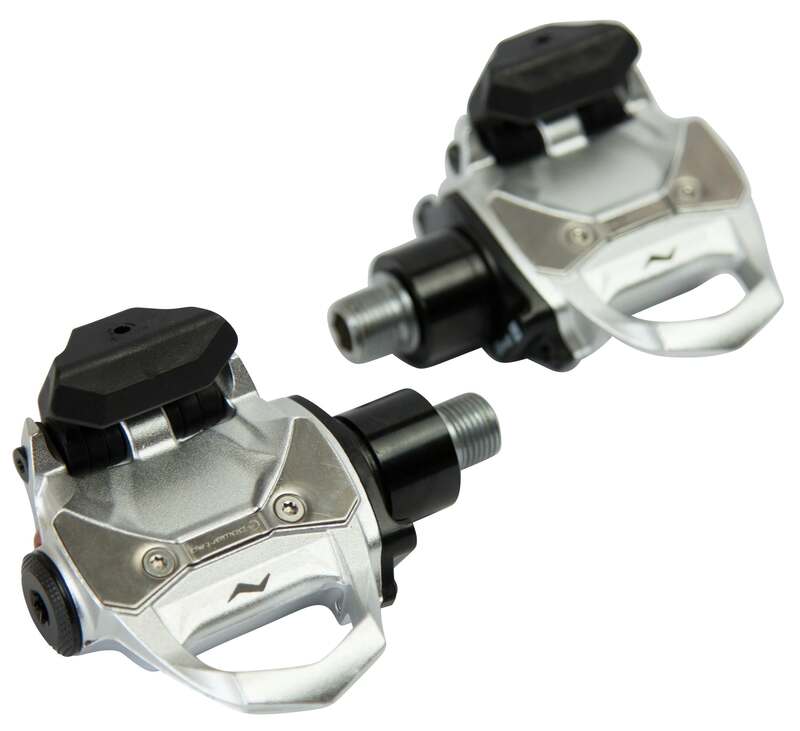 If you are already using LOOK Keo cleats on another bike, it’s handy if you can use the same shoes with your power meter pedals so you don’t have to worry about swapping out your cleats. The SRM LOOK EXAKT obviously ships with LOOK Keo peals, so all good there. In addition, while the Favero Assioma and Garmin Vector come with proprietary cleats, they are also compatible with LOOK Keo original cleats. The PowerTap P2s however require that you use the proprietary cleats that come with the pedals. As previously mentioned, all four of these pedals feature Bluetooth SMART and therefore the manufacturers also offer free apps you can download and use. 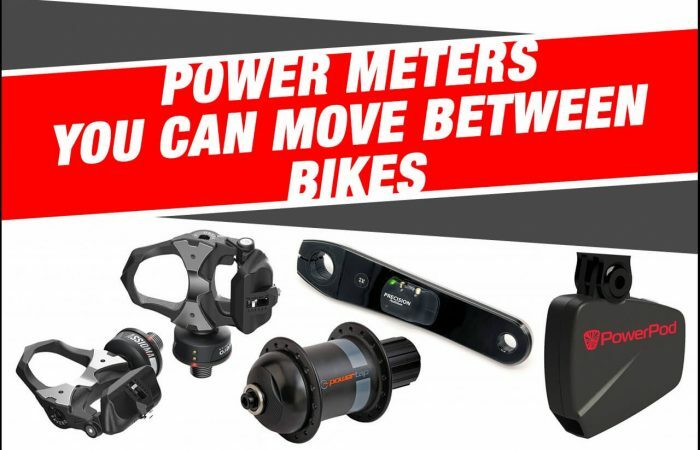 While these power meter apps have their slight differences, they all allow you to do things such as perform manual calibrations, update firmware and set your crank arm lengths. Some also display battery levels and will record ride data. We will note however that they are all available for both iOS and Andriod, with the exception of the PowerTap app, which is currently only available for iOS. The Garmin Vector 3 provides access to Garmin’s Cycling Dynamics. Cycling Dynamics provides real-time feedback on your position and pedal form. Specifically, Cycling Dynamics shows seated/standing position, Power Phase and Platform Center Offset. However, there is much debate as to whether or not information like this is meaningful. We find (and think most coaches will agree), that watts and cadence is really where it’s at. But if you’re interested in the additional data the Vector’s provide…more power to you. Q-Rings or other non-round rings can cause your power numbers to be slightly inflated. Most studies show an impact of 1% to 4%. This is because oval rings change the velocity of your pedal stroke within each pedal revolution. Some power meters account for this, however most do not. When it comes to pedals, the Favero Assioma and PowerTap P2s do – the Vector and EXAKT do not. So if you use or are looking to use an oval ring with your power meter, we would recommend either the Assioma or PowerTap P2. In order to compensate for temperature drift during your ride, select power meters use what is called active temperature compensation. With this technology, the power meter effectively auto-zeros your power meter while you ride, which helps to ensure accurate data. All four of these pedals use some form of active temperature compensation. Therefore, you can check this box regardless of which pedal you choose. When dual-sided power meters are paired to training apps such as Zwift, Rouvy, TrainerRoad, etc., sadly, they typically only pair to the left or right sensor. This effectually puts your power meter in single-side mode, whereby one pedal will double its values to approximate your total power. 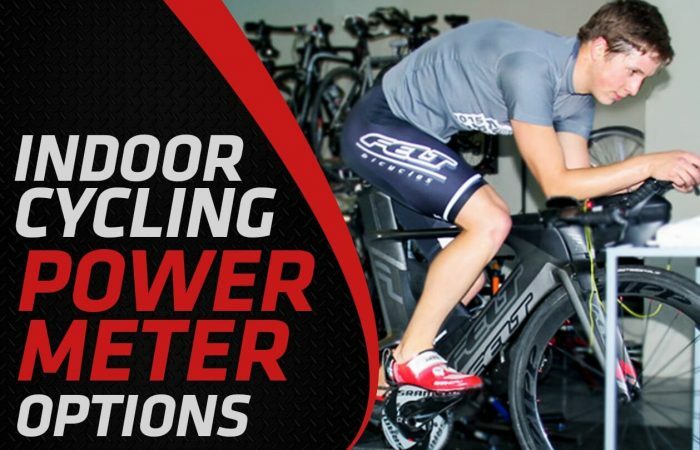 So you’re still get a total power figure, however you are losing a bit of the accuracy that is normally afforded by having a dual-sided power meter. Well Favero, Garmin and SRM LOOK have all implemented workarounds to this issue. The technicalities of how each manufacturer accomplishes this is probably beyond the scope of this article, however the result is that these power meters are effectively able to transmits power from both pedals to the training app through a single channel. Problem solved! In addition to a dual-sided pedal, Favero, Garmin and SRM LOOK all also offer a single-sided power meter. With the single-sided pedal, you still get both a left and right pedal, however only one pedal contains a sensor – we’ll call it the master. (It’s the left pedal on the Assioma and Garmin and the right pedal on the SRM LOOK.) The master doubles your single leg power, in order to compute a total power figure. (Note this is how all single-sided power meters work.) These single-sided pedals are slightly more affordable than their dual-sided counterparts. This is nice for those looking for a more affordable way to get a pedal-based power meter on their bike. The Favero Assioma UNO sells for $519, the Garmin Vector 3S is $599 and the SRM LOOK EXAKT Single is $899. PowerTap does not currently offer a single-sided P2. As previously noted, the Favero Assioma DUO is the most affordable pedal at $739. This compares to the PowerTap P2 which comes in second at $899, followed by the Garmin Vector at $999 and the SRM LOOK EXAKT a distant fourth at $1,699. Stack height refers to the distance from the center of the pedal spindle to the bottom surface of the cycling shoe. The stack height on the PowerTap P2s is 14 mm. This is about 3-5 mm greater than most of the popular pedals on the market. (The stack height on the Favero Assioma, Garmin Vector and SRM LOOK EXAKT is 10.5 mm, 12.2 mm and 11.9 mm, respectively). We mention this because you might need to adjust the height of your saddle ever so slightly with the P2s in order to keep your bike fit the same. This of course is not a deciding factor – rather just something we wanted to mention. You already know the answer here…there isn’t one. Which pedal you ultimately choose should be based upon which features are most important to you and your budget. Moreover, they will all afford you the numerous advantages that come with using power meter pedals. 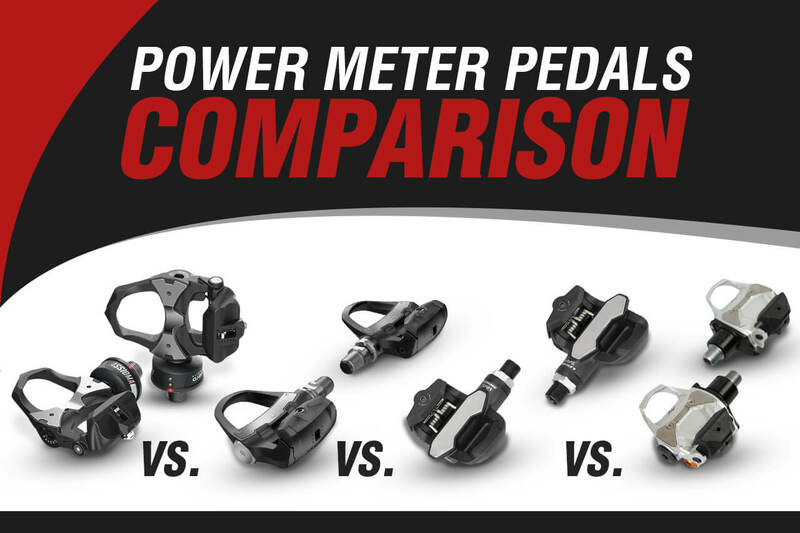 Thanks for checking out our power meter pedals comparison. If you still have questions or need some additional guidance, just give us a call. We would be happy to help!